Will Bitcoin be worth 1000 or 10 000 USD? Email bitcoins with Coinkite! They have developed a process that will feel more comfortable for PayPal users that are considering Bitcoin and other Cryptos as a form of payment online. Email has been native to the PayPal process from the beginning and now we can send Cryptos in the same manner, safe and secure. 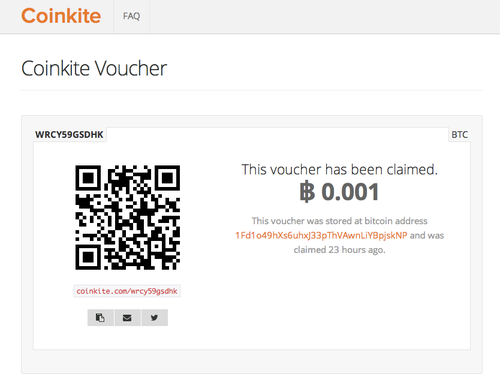 Add the voucher feature to the mix and Coinkite has just made using Bitcoin as easy as email, even for the non-technical merchants/sellers. 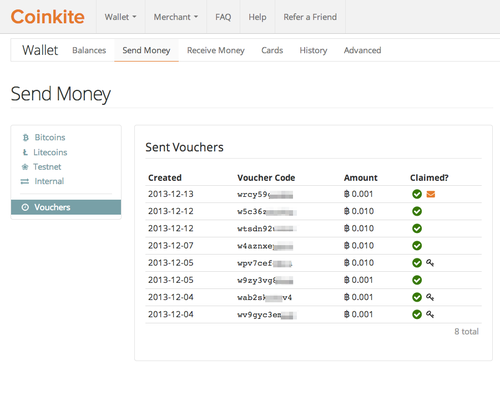 Separating the user from the technical inner-workings of the Crypto payment process has been Coinkite’s theme since the geginning. Their Bitcoin Debit Card was a smash hit by allowing the client to carry Bitcoin via a credit card. Look for these new products to be just as popular as the debit card. The voucher service is so extremely intuitive. In essence a wallet for a particular transaction, this function takes the possibilities of Bitcoin usage to new heights. Send via text, facebook, email, twitter or any other means of transaction. Tag any message with a voucher as a reward for delivering on requirements defined in the message. The possibilities are endless! 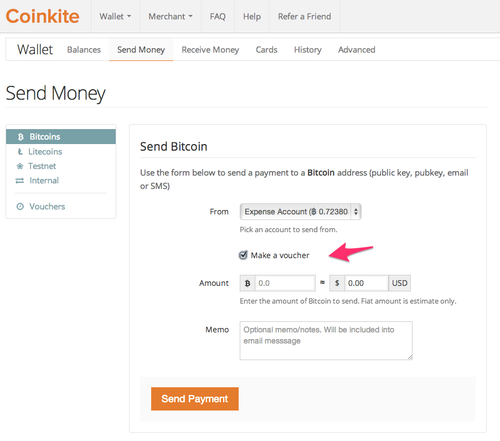 New Features: Send Bitcoin/Litecoin by e-Mail or Create and Share Vouchers! Yes Vouchers! 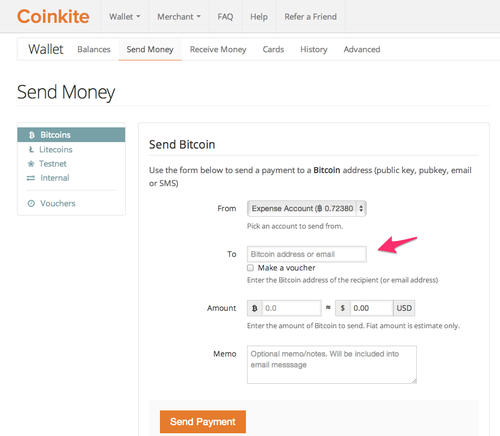 Send Bitcoin and Litecoin to any one’s e-mail address, even if the receiver doesn’t have a wallet yet! Create Bitcoin and Litecoin vouchers, share them by email, link, print, phone, Facebook, Twitter or any other way you want. These vouchers can have memos and are PIN protected! 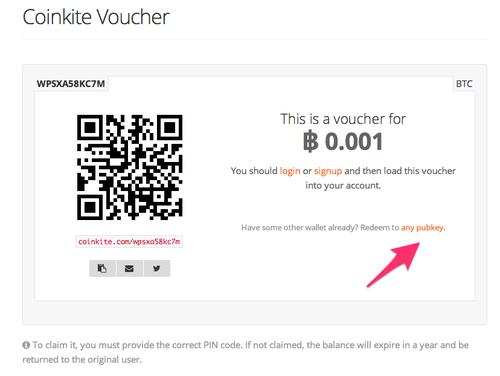 The Bitcoin way: Redeem into Coinkite (login/signup) or into any other Bitcoin/Litecoin public address! We are not forcing anyone to signup to get their funds. Put simply; the best wallet out there. We empower customers and merchants to transact in Bitcoins and other crypto currencies, in both the online and physical worlds — just as you would with online banking and debit cards.